The A.R.A. publish full colour annual Bulletins, and we upload copies here on the website for people to view. The A.R.A. Bulletins on the website are available in PDF format, please click on a link below and note that larger issues are split into parts, which can each be downloaded. ARA Bulletin Disclaimer. All articles are under the copyright of the ARA unless specified otherwise and all rights are reserved. © Association for Roman Archaeology. All authors should be credited and acknowledged. All offers and information were accurate at the time of publication but will no longer be valid after that date. 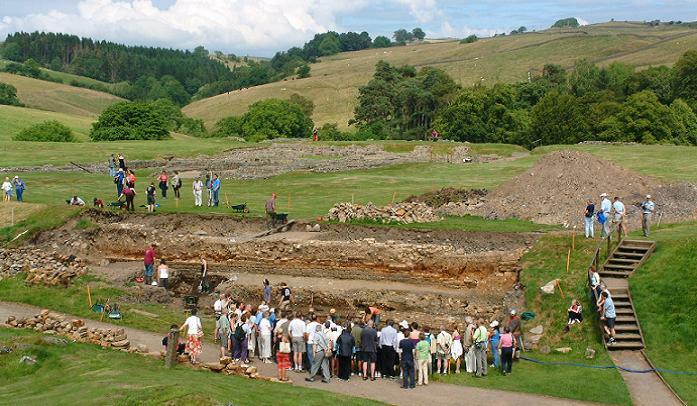 ARA members on tour visiting the excavations at Vindolanda. Photo J. Partridge.